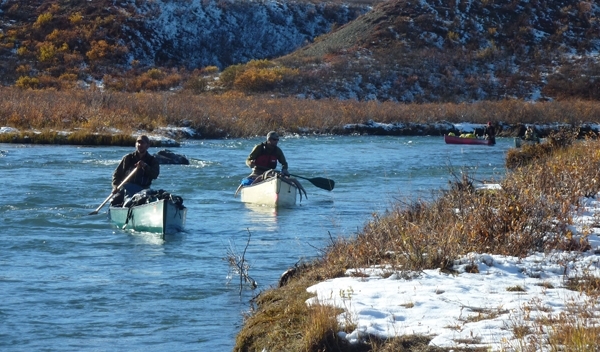 My canoe partner, Jason, and I making our way down stream with a canoe full of Jason’s caribou. 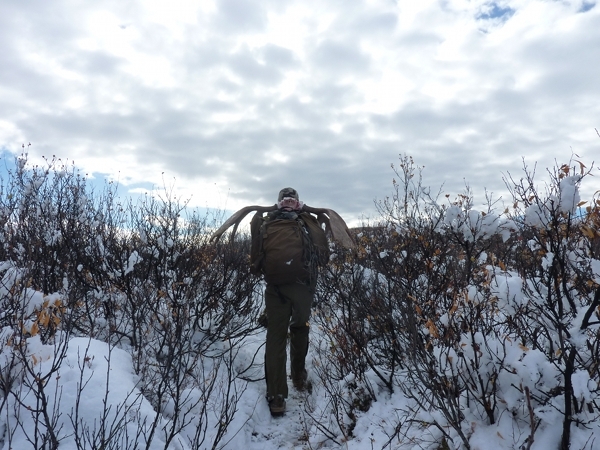 I recently was lucky enough to be invited by some friends on a moose and caribou hunt in Alaska. The trip was amazing! And the trip was a challenge. 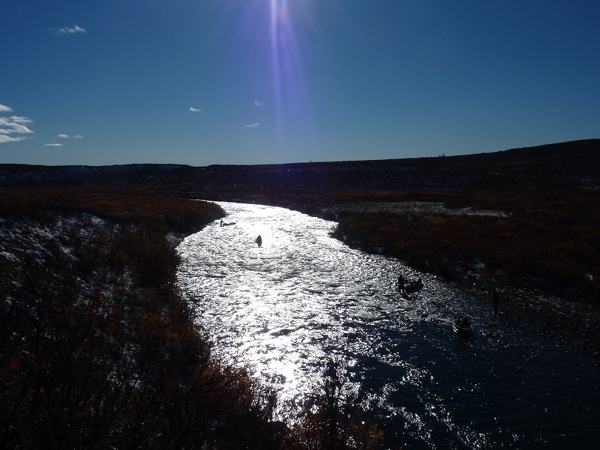 We lined canoes up a gorgeous river valley, set up camp for 6 days, glassed and glassed every day searching for legal animals. Seven of us went, and three were hunting. We came out with a moose and a caribou. It was the trip of a lifetime and I feel so fortunate to be able to go. The landscape combined with the tribal feel of our hunt inspired my next painting series that I will begin this winter. 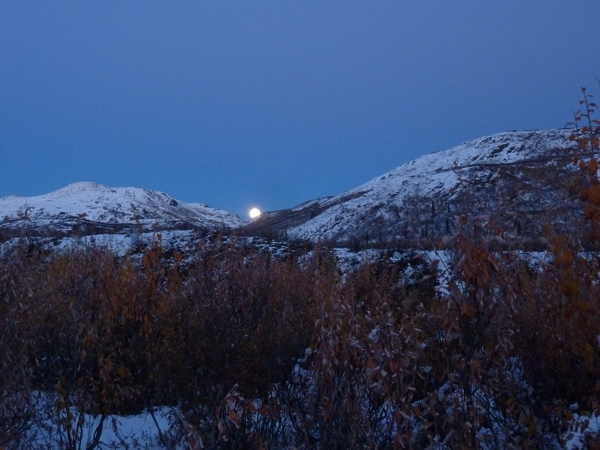 Full moon rising above our camp. We also had a great show of Northern lights this night. Imagine a wide open valley with snow covered mountains glowing in the moonlight, and then Northern lights shimmering down above all that! Amazing to say the least. 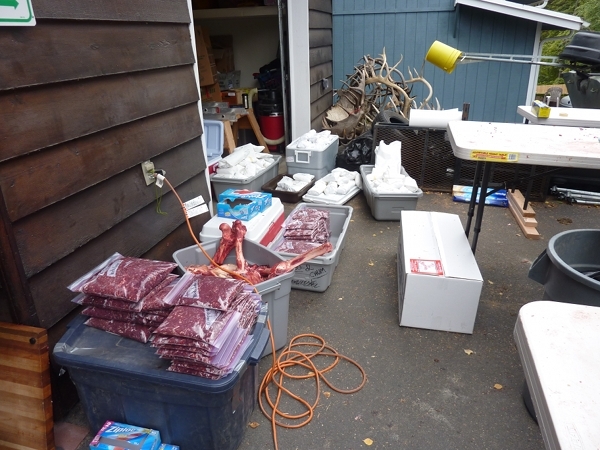 Dan packing out his moose rack and meat. Everyone quartering the moose together. It was such a great group to go with- thanks Team Moose Hunt! 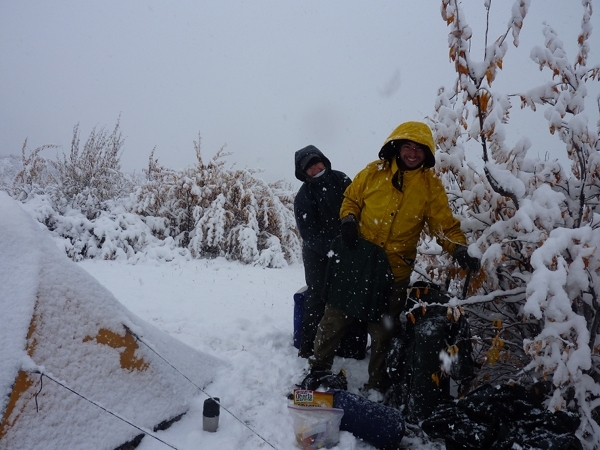 Everyone helped out and had good humor, even when we woke up to 5 inches of wet snow and the valley socked in. Brook and Josh smiling at waking up to wet snow. Hey… it is better then work. 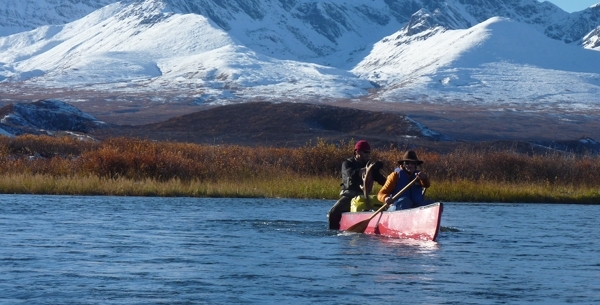 Caoneing out in canoes loaded with moose meat. We all processed the meat in my friends’ driveway. 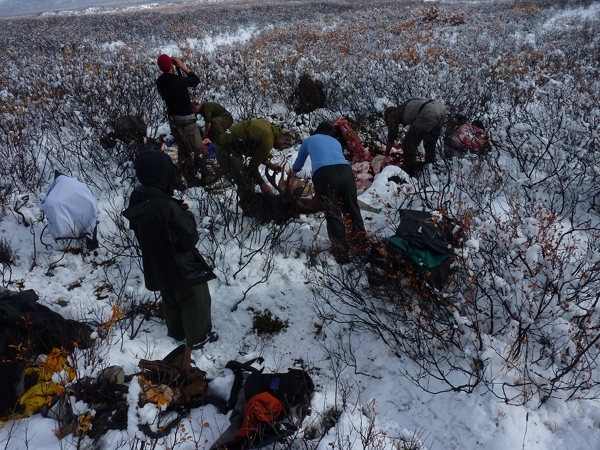 One bull carinbou and one bull moose gave five families over well 100 lbs of meat each. I am pretty sure my trip up and back canceled out any carbon miles I save by eating this, but still…. it is delicious!